Bobcat Trail is a luxurious active lifestyle community located in North Port, Florida. 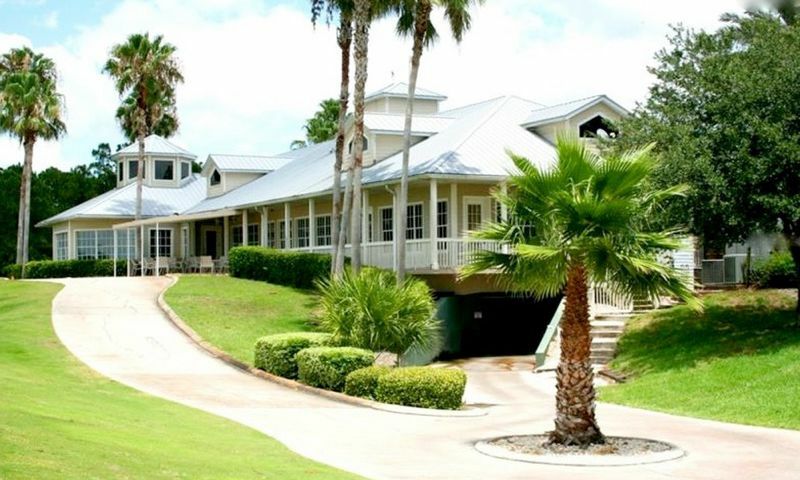 This gated community features an 18-hole championship golf course and resort-style amenities that offer plenty of activities to keep residents socially engaged. Bobcat Trail offers homebuyers a wide selection of home designs such as attached villas and single-family homes that provide single-level living with low-maintenance exteriors. Ideally situated in Sarasota County, residents have easy access to everyday conveniences, attractions, shopping, and dining. The central hub of social recreation and physical activity is found at Bobcat Trail's Community Center. The Community Center features a fitness center where residents can stay in shape without having to travel far from home. An on-site restaurant and bar is the perfect place to enjoy a delicious meal and refreshing drink with a friend. Residents can socialize with neighbors in the multi-purpose room or arts and crafts studio, or enjoy a quiet space in the library. A pro shop is also available for residents to purchase the latest gear before heading out to their golf game. Outdoor amenities are great as well. Homeowners can swim a few laps in the pool or relax on the patio. They can challenge a friend on the tennis court or practice their swing at the golf practice facilities. The award-winning 18-hole Bob Tway championship golf course is another great outdoor activity. The golf course was rated by Golf Digest as a "must play four-and-a-half star course." Residents can opt to purchase a golf membership to enjoy the course. Beautiful walking and biking trails surround scenic ponds making Bobcat Trail a charming community to live in. Bobcat Trail was developed between 1998 and 2014 and consists of 557 residences. Homeowners can purchase beautiful attached villas and single-family homes available on a resale-only basis. Bobcat Trail is surrounded by tree-lined streets and sidewalks, and most homes enjoy scenic views of ponds, tropical landscapes or the golf course. There are 110 attached homes within the Bobcat Villas section of the community. These villas offer approximately 1,450 to 1,677 square feet of living space. They typically have two or three bedrooms, two bathrooms, and an attached two-car garage. Villas are available on a resale-only basis and share entryways, courtyards, and backyards. There are 447 single-family homes available on a resale-only basis in Bobcat Trail. These detached residences offer about 1,500 to 3,340 square feet of living space. They have about two to four bedrooms, two or three bathrooms, and an attached two or three-car garage. Most homes feature open floor plans, spacious master suites, crown molding, modern appliances, granite countertops, and screened lanais. Association fees vary depending on the type of home. Homeowners' association fees may include lawn maintenance, landscaping, and community center and pool maintenance. Bobcat Trail offers a wide variety of activities and events that are sure to keep homeowners busy throughout the year. Residents can get involved with groups and clubs that meet at the clubhouse like bible study, book club, coffee group, or potlucks. They can join water aerobics classes, ladies lunch group, or travel group. Neighbors can become fast friends over a game of bridge, pickleball, or rummikub. The community hosts regular events like movie nights, seasonal parties, and pool parties. Homeowners will have endless options to stay active and social while living in Bobcat Trail. Bobcat Trail is located in Sarasota County, Florida. Residents have easy access to I-75 and US 41, both make driving around town a breeze. The community is in close proximity to Port Charlotte Town Center and a Walmart Supercenter, which are less than five miles away. Just 20 miles south of the Sarasota metro area, homeowners have plenty of arts and cultural attractions. Bobcat Trail is also close to three major airports in Fort Myers, Sarasota, and Tampa. Residents will love the convenient location and country club lifestyle in Bobcat Trail in North Port, Florida. Residents have access to the Community Center and its amenities. Golf memberships are optional. In addition to the community center, residents of the Bobcat Villas section have access to their own amenities. There are plenty of activities available in Bobcat Trail. Here is a sample of some of the clubs, activities and classes offered here. There are 110 attached homes within the Bobcat Villas section of the community. These villas offer approximately 1,450 to 1,677 square feet of living space. They typically have two or three bedrooms, two bathrooms, and an attached two-car garage. Villas are available on a resale-only basis and share entryways, courtyards, and back yards. Please Note: Floor plans are not available at this time. There are 447 single-family homes available on a resale-only basis in Bobcat Trail. These detached residences offer about 1,500 to 3,340 square feet of living space. They have about two to four bedrooms, two or three bathrooms, and an attached two or three-car garage. Most homes feature open floor plans, spacious master suites, crown molding, modern appliances, granite countertops, and screened lanais. Please Note: Floor plans are not available at this time. 55places.com is not affiliated with the developer(s) or homeowners association of Bobcat Trail. The information you submit is distributed to a 55places.com Partner Agent, who is a licensed real estate agent. The information regarding Bobcat Trail has not been verified or approved by the developer or homeowners association. Please verify all information prior to purchasing. 55places.com is not responsible for any errors regarding the information displayed on this website.